Gotham reaches its season 5 – and therefore series – finale very soon, which means that we’ll see the ensemble cast of characters take their places on the board that line them up with classic Batman mythology. So yes, that means that David Mazouz will get to suit up as the Dark Knight (as well as a stunt performer for the action scenes). 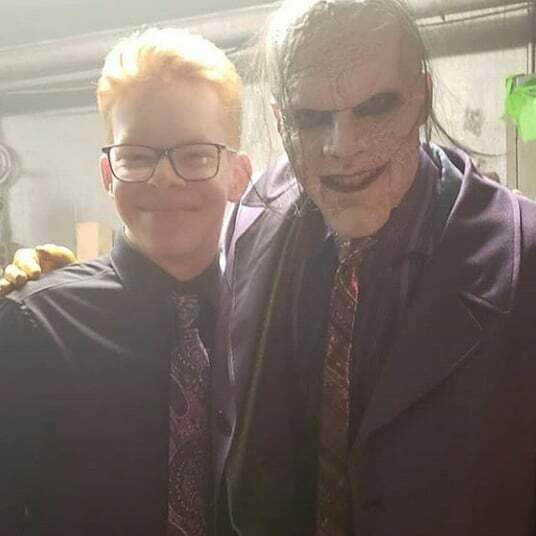 Arguably, though, fans are most intrigued to see the final evolution of the Joker, as played by Cameron Monaghan. Monaghan’s ever-shifting role on the show has always been a fan favorite and the last time we saw him earlier this season, Jeremiah Valeska finally fell into a vat of acid at Ace Chemicals, fulfilling his destiny as the Joker. But, as we know from official posters and images, his new form is pretty different from the traditional image of the Clown Prince of Crime. With mottled skin and a bald head with only a few wisps of green hair, he certainly cuts a scary figure, but fans have given some strong opinions about it on social media. 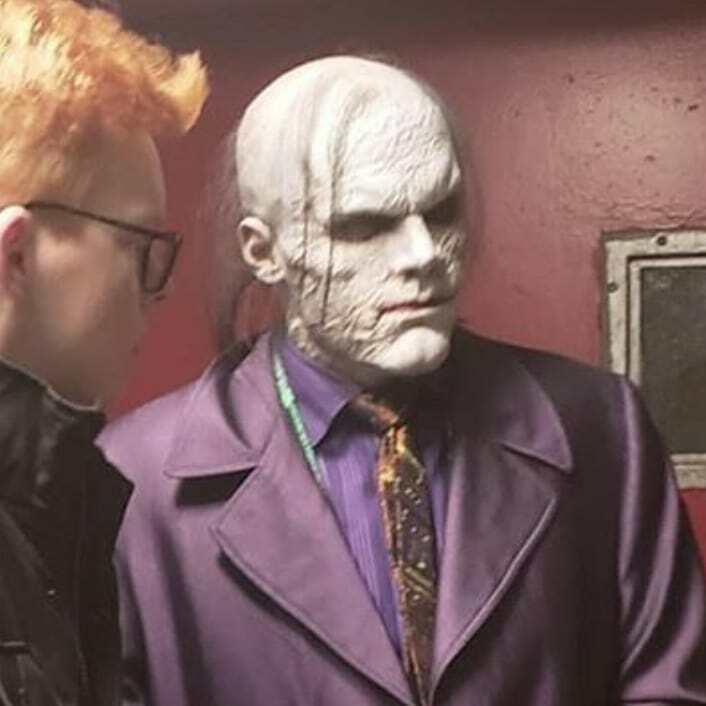 Some are hoping the design will work better in action and while there’s still a few weeks to go before we get to see the finale, as we wait, we’ve got a couple of behind the scenes shots that give us another look at Monaghan in full costume and make-up as the Joker. Gotham is currently on a hiatus but returns next Thursday for the show’s penultimate episode, which promises to wrap up the “No Man’s Land” storyline in explosive fashion. Bruce Wayne, Selina Kyle and Jim Gordon will have to make an uneasy alliance with Riddler and Penguin to face down Bane and Nyssa al Ghul’s attempt to destroy their city. Be sure to catch it on FOX on April 18th.